Ujjain is considered to be one of sacred cities of the Hindus in Madhya Pradesh, and is located at the embankments of Shipra River. 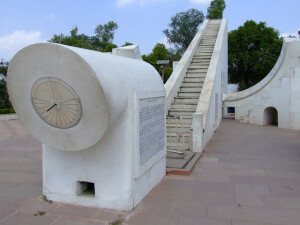 The place is wrapped with history for which it reminds the tourists of the glorious pasts of India. There are plenty of mythological connections in this place, and consequently, there are plenty of tourist places that are found here. In Ujjain you will see lot of temples around, for this reason it is also known as temple city. This is basically a temple dedicated to Lord Shiva. The Shikhara is magnificent here, and the facades are also highly stylised. It is capable of evoking spiritual sentiments among the tourists . The shivalinga of this temple is believed to be born here. This is a majestic palace which stands on an island in the River Shipra, and is located 8km from the main city. This monument was built over the Sun temple, and the architectural style of this place is also worth watching. This is the reason for which it attracts large numbers of tourists from different parts of the world. The observatory present in the city of Ujjain reflects the prominence of astronomy given by this place once. There is an ancient astronomical device located here, and at the same time, it is also considered to be a fascinating storehouse for many antique pieces. This is one of the most well known caves of Madhya Pradesh and it proudly stands on the banks of River Shipra. 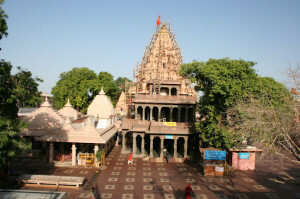 It is located quite close to the Gadakalika Temple in Ujjain and is also named after the famous sage Bhartrihari. The caves represent the traditional wealth of India. This temple is generally situated at about 2 miles from Ujjain and is dedicated to the Hindu Lord Kaali. It is believed that poet Kalidasa worshipped here.